The guiding principle of the design strategy is the reconciliation of the public realm with that of the cultural institution. 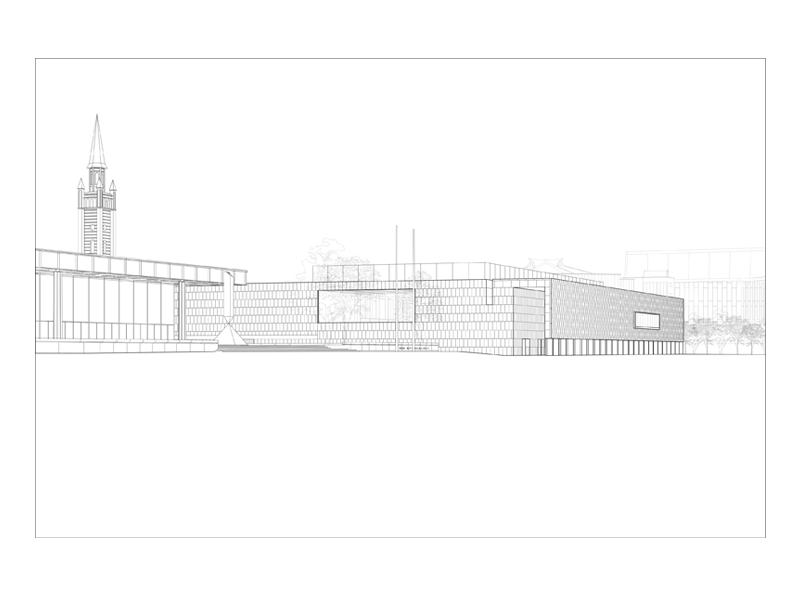 The competition brief refers to “solitaires in a free flowing landscape”: We propose an alternative to the cultural solitaire: at the heart of the museum is a civic space that invites all citizens to enter and participate in the rich cultural heritage and dialectic offered by the Museum of the 20th century. The partis is two-fold. 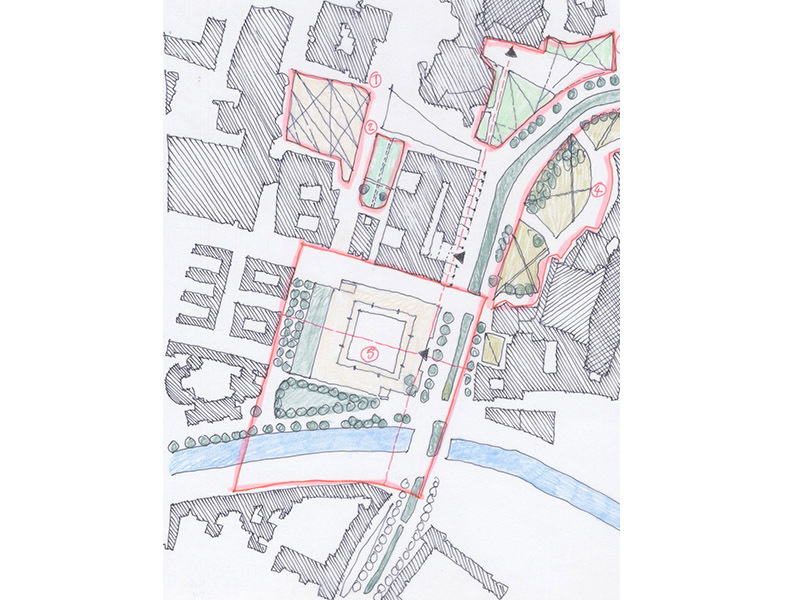 Firstly having considered the historic street patterns we propose to reinstate the footprint of the original city block on the site. 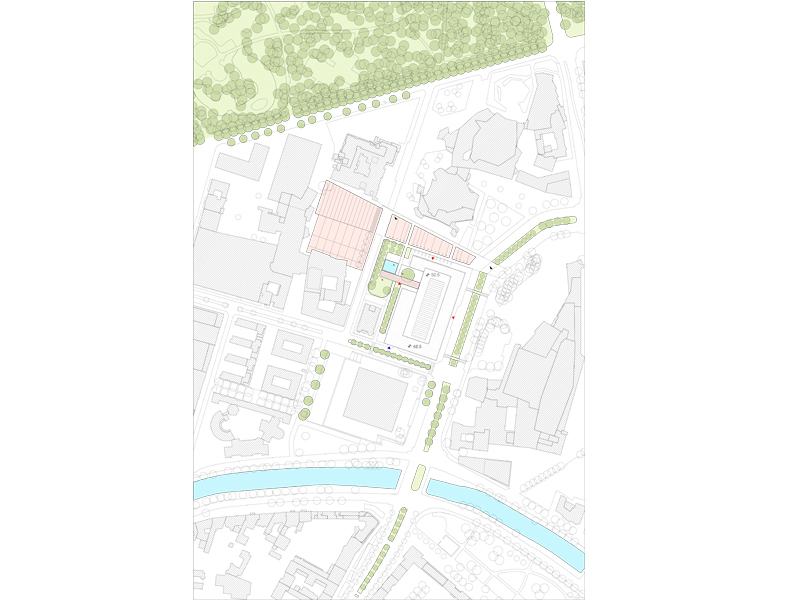 This will provide clear edges and definition to the external spaces, which at the moment are too expansive and amorphous to be read as urban places. Matthiasplatz, in particular will regain its former room-like character. 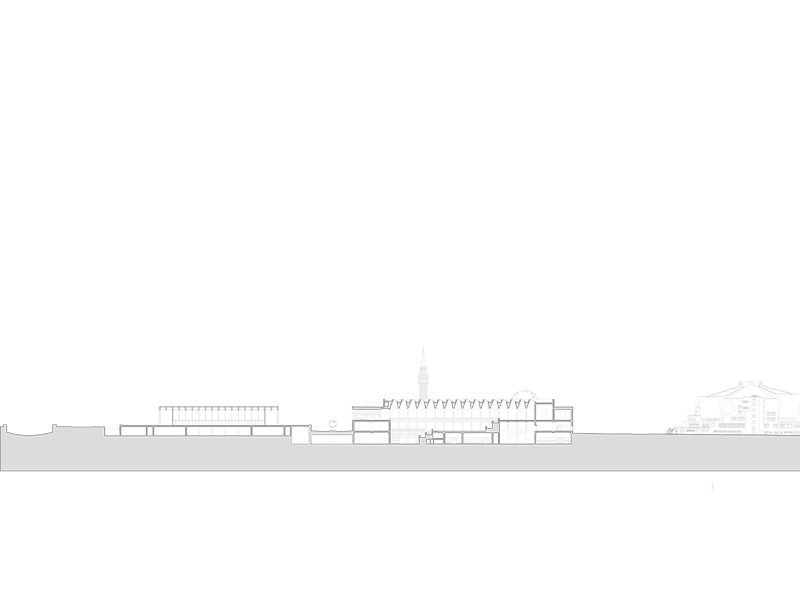 Scharoun’s plan for the Kulturforum also envisaged a building, the Senate Guesthouse, on the site. 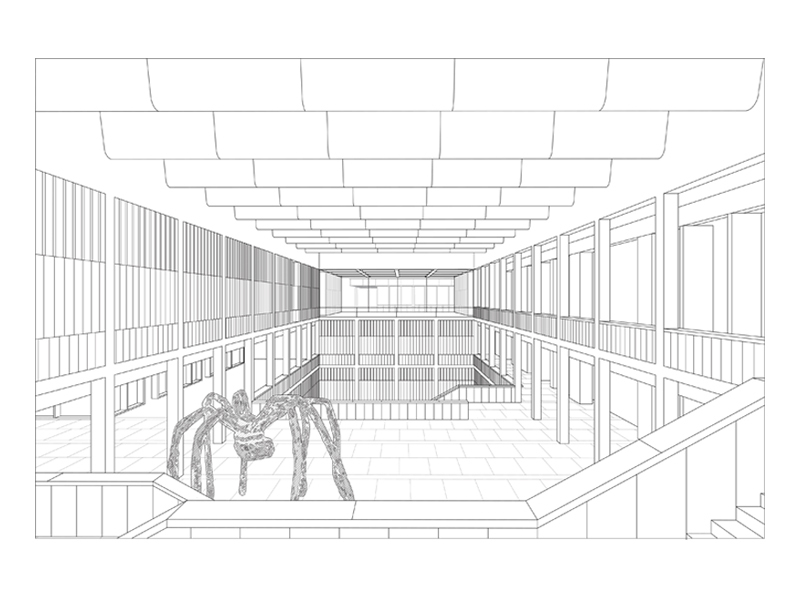 The form of the building defined the spaces, yet did not dominate the adjacent structures the philharmonic hall and national gallery, which Mies van der Rohe had placed on a podium, a device that created an abstract field of space around it so that it is perceived as classical and self-contained pavilion. We have therefore reinstated a building form on this plot, however this may be understood as a shaper of external space, rather than a sculpted object in a neutral matrix of space. 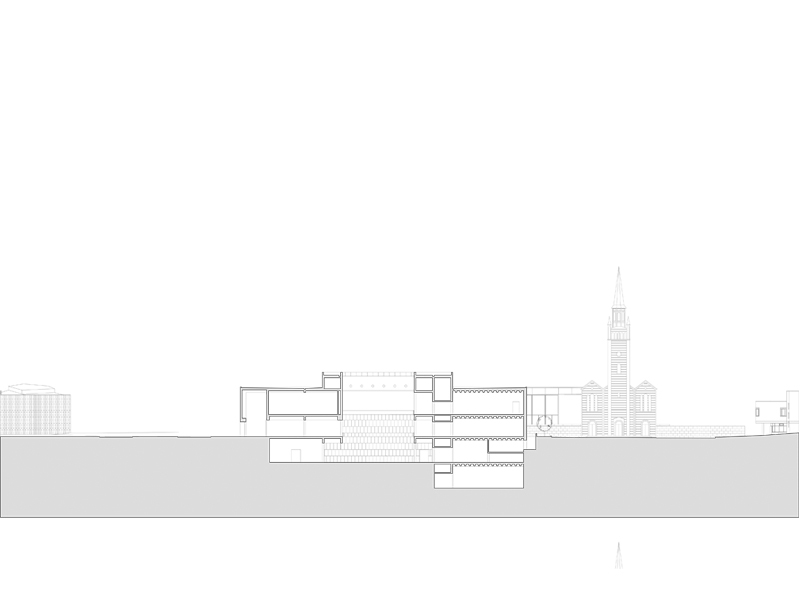 Secondly, circulation through the building on the horizontal plane, is predicated on public access through and across the site. The museum can offer public routes through the building from north to south along a sheltered arcade and in a knight’s move, from east to west through the Hall at the heart of the building. 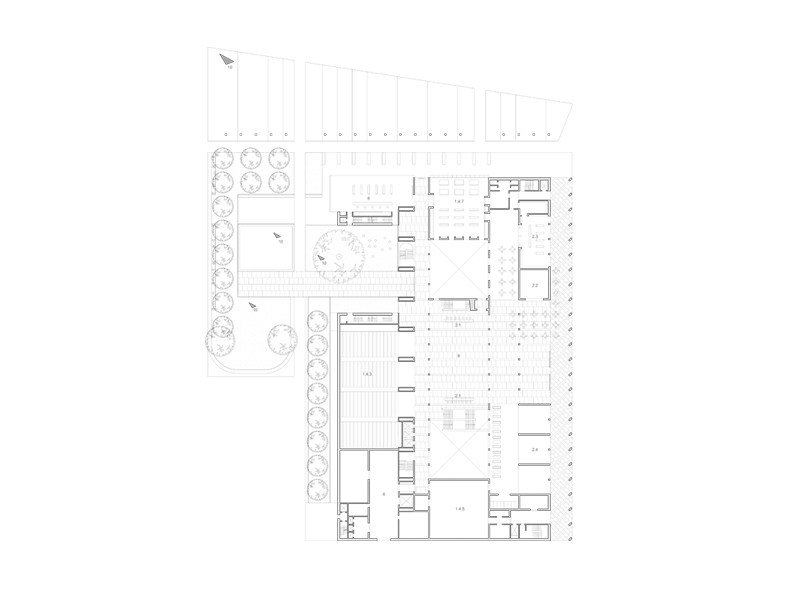 Because of the nature of the collections, and the requirement to connect in the future to the National Gallery at low level, the ground plane is then manipulated to create a stepped concourse bathed in daylight, allowing visual and spatial connection between all levels.